As the nuclear crisis is dissected by commentators, some have turned to cultural stereotypes to explain the problems. It’s a dangerous approach. 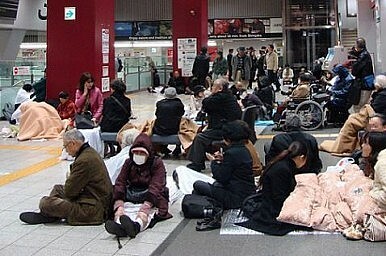 Natural disasters are a fact of life in Japan. Even so, the Japanese have faced the terrible damage wrought by the earthquake and tsunami on March 11 with a stoicism that has been admired by media around the world. There has, however, been a profound sense of dismay over the nuclear incident at the Fukushima Daiichi plant. How could this have happened in Japan, a seemingly organised society whose technological prowess is famed across the globe? Shouldn’t Japan have been better prepared, so it could have avoided a Chernobyl-scale accident? And surely Japan should have been better placed than the Soviet Union, with its creaky and inefficient communist infrastructure? Why are these culturalist arguments such a problem? First, by attributing the causes of a manmade disaster to national culture (itself a debatable term), it reduces that event to something in some way unique to that nation. Followed to its logical conclusion, such an argument seems to be suggesting that certain disasters could only happen in a particular country because of its ‘culture,’ and so by extension they could never happen in other countries. Yet, the United States, Britain, France, and Russia have all had their share of nuclear accidents and other scandals. Indeed, history is littered with stories of how disasters have stemmed from human error, complacency, or corruption, which would suggest that the cause of Japan’s nuclear accident lies in more universal factors. The problem with culturalist arguments is that they breed a false sense of cultural superiority (or ‘pride and arrogance,’ as Attali accuses the Japanese of), which should be anathema in an age of equality among states, cultures and peoples. Correspondingly, there’s also a danger in the flipside of the post-Fukushima coin, with many commentators praising Japanese resilience in the face of adversity. Does that mean that those states that have been slower to recover from disaster are in some way inferior? Worst of all, though, culturalist arguments generate dangerous and self-satisfied complacency among certain nations and their commentators. It would hardly be surprising if, after Chernobyl, many Japanese had been tempted to suggest that such a thing could never happen in Japan. But those who did have found that, much to their chagrin, there was nothing unique about the disaster that befell their Russian neighbours. And neither is there anything unique about Japan. No country is immune from human error, corruption or complacency. With this in mind, and before we start painting with broad culturalist brushstrokes, other nations should examine their own nuclear safety management – and indeed management of all potentially dangerous technologies – to try to ensure that the mistakes in not-so-unique Japan aren’t repeated. That would be a useful lesson to draw for any culture. Shogo Suzuki is a lecturer in politics at the University of Manchester, England. Japanese Prime Minister Yoshihiko Noda has a chance to rescue Japan’s economy with a key free trade agreement. Failure to seize it could result in terminal decline.